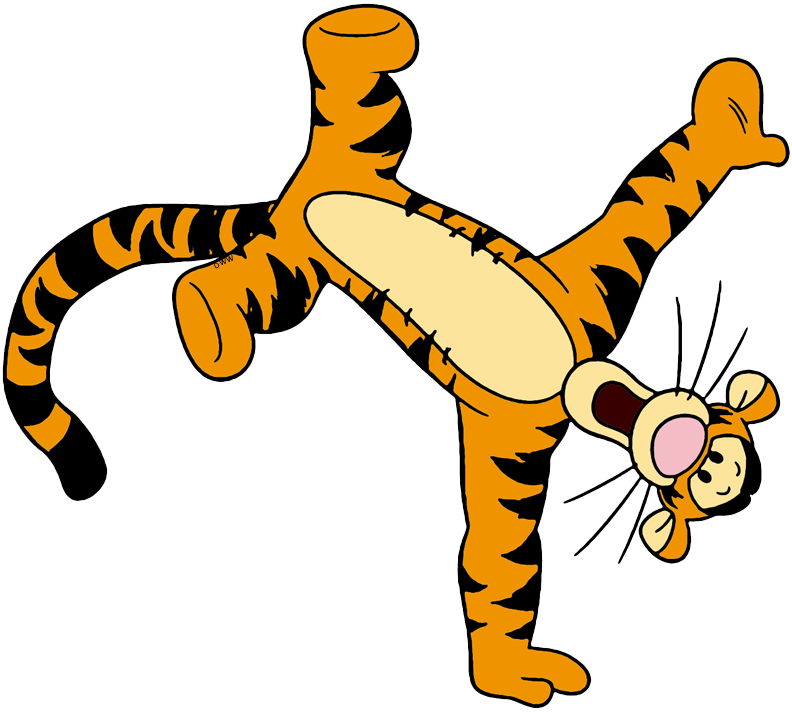 Attention deficit hyperactive disorder (ADHD): Tigger’s continual bouncing, hyperactivity and irresponsible attitude cause problems for him and those with whom he lives, as well as those he interacts with in the wider community. Rarely sits still. He’s always running, climbing, or fidgeting. Having tried – and firmly rejected – honey, haycorns and thistles, Tigger settles on extract of malt as his food of choice. While this particular substance is unlikely to exacerbate his condition, a more balanced diet would almost certainly benefit him and perhaps contribute to an improvement in his behaviour. No information is available on Tigger’s life before his arrival at Pooh’s house. Nothing is known of his previous address or his family of origin, although it has been said that he is the only Tigger. Tigger’s arrival at Pooh’s house in the middle of the night is evidence of his inability to control his impulses. A less disordered individual would have known that it is more appropriate to visit people during the day, especially when dropping in on someone one scarcely knows or has never met. Impulsive behaviour, interrupting and intruding are at the heart of Tigger’s problems. Soon after their first meeting, for example, Tigger suddenly interrupted Pooh, climbed on to the table, wrapped himself in his host’s tablecloth and brought everything crashing to the floor. When questioned by Pooh about his behavior, rather than accepting responsibility for his actions, Tigger accused the tablecloth of trying to bite him. Tigger makes bold statements, such as declaring that he is only bouncy before breakfast. He proclaims impulsively that whatever food he is offered is what Tiggers like best, then gulps down large mouthfuls of the food in question, only to find he dislikes it very much. More evidence of Tigger’s recklessness and poor impulse control is displayed by his belief that he can do anything. He has no sense of fear or responsibility. This was apparent when he climbed up a high tree with Roo on his back before he had ascertained whether he was able to climb a tree in the first place. Inevitably, they then got stuck when he realised he had no idea of how to get down. On one occasion, Tigger grabbed Roo’s medicine from Kanga, which he proceeded to swallow, almost devouring the spoon as well. Obviously the medicine might have proved dangerous to him. Tigger never learns from his mishaps, bouncing back almost immediately after a frightening and potentially hazardous incident. As a result, Tigger’s behaviour causes concern to those around him.